Situated off mainland China in the South China Sea, Hong Kong is a Special Administrative Region of the People’s Republic of China. Previously colonised by the British and Chinese, this historical city is one of the most prominent financial centres in the world. 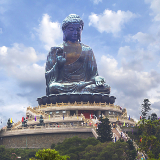 Hong Kong boasts an impressive skyline; while its temples, theme parks and nightlife attract visitors year-round. 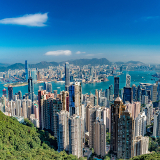 Cheap flights to Hong Kong are now available for a limited period of time, so get ready to experience the cultural fusion and cosmopolitan living of this hi-tech island! Hong Kong is home to Hong Kong International Airport (HKG), a 30-minute train commute to Hong Kong Island. Revel in the melting-pot of ancient, local traditions influenced by Chinese ancestry and British colonisation. Hong Kong’s thriving arts, music and theatre is set against a cosmopolitan backdrop complemented by unparalleled cuisine. Dim sum, anyone? Explore the city’s modern designs and skyscrapers with spectacular views, while the ornate temples and buildings downtown convey a rich heritage. See the magical light shows at the harbour, where lights from over 40 towers dance to music! Whether you’re shopping up a storm in this fashion capital or hiking along the mountainous trails of the gorgeous landscapes, you’ll have a spring in your step as you make your way through the plethora of attractions. Hong Kong experiences a high influx of tourists all year round. Spring (March-April) and autumn (October-November) are the busiest seasons and peak vacation periods for the mainland Chinese. The lunar Chinese New Year sees the island teeming with visitors and locals. Spring and autumn also see many festivals and trade fairs booking up the city’s hotels. Summers (May-September) are very hot and humid, and most people avoid the city altogether or head to the beaches on the surrounding islands. Winter (December-February) is a great time to visit as the cooler temperatures chase away the visiting crowds. Many hotels offer lower rates and package deals during summer and winter – perfect for those on a budget! Hong Kong, famously known as the “Pearl of the Orient”, is a global hub in East Asia with multiple personalities and influences, stemming from its British and Chinese rule. Spanning a history of over 30,000 years, this island has a flourishing economy with international trade, highly-developed infrastructure and tourism at its forefront. Hong Kong is a cosmopolitan city backed by ancient customs and traditions, yet replete with all the luxuries of contemporary living. Rustic rural settings, quaint temples, a multitude of festivities, exquisite culinary fusions, the frenetic pace of urban living and the scenic harbour are but a few charms that will entice you to visit this bustling land. There’s no dearth of fashion, food, shopping or entertainment options here. 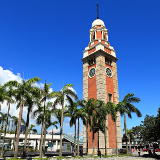 The high-end streets sporting designer houses and world-class shopping complexes are sharply contrasted to the earthy, downtown feel of Kowloon with its colourful street markets, colonial buildings and nostalgic junk boats. The Hong Kong skyline is peppered with modern skyscrapers and bright lights. A tram ride up to Victoria Peak will afford you spectacular views of the mainland. Hong Kong is also home to ravishing landscapes and breath-taking scenery, where you can hike and camp among the traditional fishing villages in the countryside. 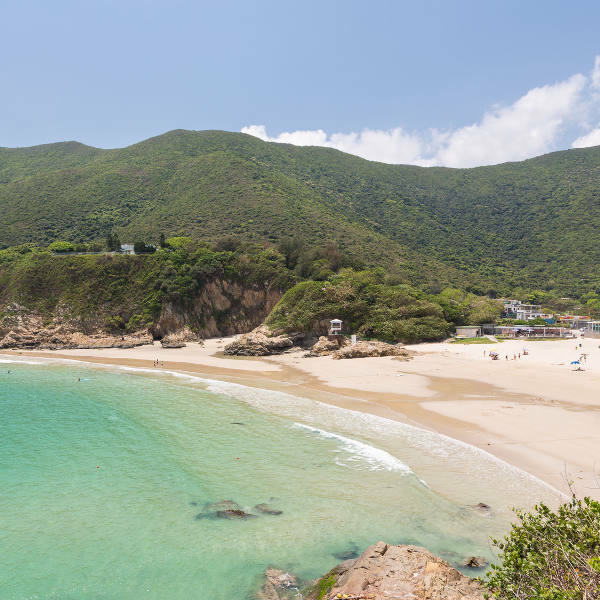 The golden beaches of Lamma Island are only a hop away! Compare several airlines, and book your cheap flights to Hong Kong online at Travelstart. Hong Kong is a remarkably safe destination. Visitors are free to walk around by day and night, and violent crimes are practically unheard of. Nonetheless, as in any foreign city, keep a watchful eye on belongings and, if possible, leave valuables in your hotel safe. Police offers patrol areas frequently and are very helpful if you need assistance. There are no vaccinations required to enter Hong Kong. Be aware that as you enter the airport, automatic sensors gauge your temperature, and if it is considered to be high, you may be required to undergo a quick health check. Should you have a cold or the flu, it is considered courteous to wear a mask in public. Smoking is banned almost everywhere, and you’ll be liable to a hefty fine should you be caught smoking illegally. The air in Hong Kong is quite heavily polluted so if you suffer from asthma, try to avoid spending too much time outside. Hong Kong has excellent healthcare facilities, though you may want to consider taking out health insurance before travelling, as medical bills can work out expensive. Hong Kong is a melting-pot of people and cultures, with each neighbourhood offering something different. 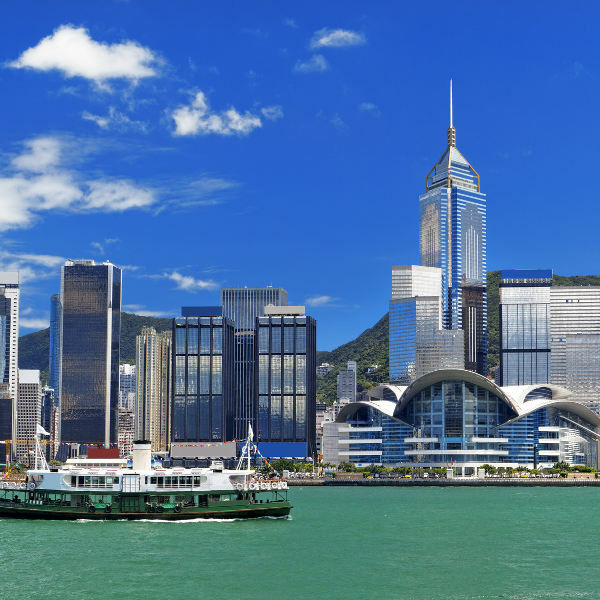 Business travellers may want to stay in Central Hong Kong, the financial hub of the island. Its close proximity to Victoria Peak and the chic nightlife in Lan Kwai Fong and SOHO make it the place to be. Staying in the high-end areas of Central, Wan Chai and Admiralty will make your business very convenient, with public transport and high-end shopping malls at your fingertips. A short stop away, you can find more budget-friendly hotels in Sheung Wan. The tourist hotspot, no doubt, is Tsim Sha Tsui (TST) in downtown Kowloon. Across from Victoria Harbour, you’ll be treated to stunning views of Hong Kong’s skyline. This area caters to various budgets, from luxury brand name hotels to low-cost hostels. Explore the shopping centres, street markets and array of local and western dining options. 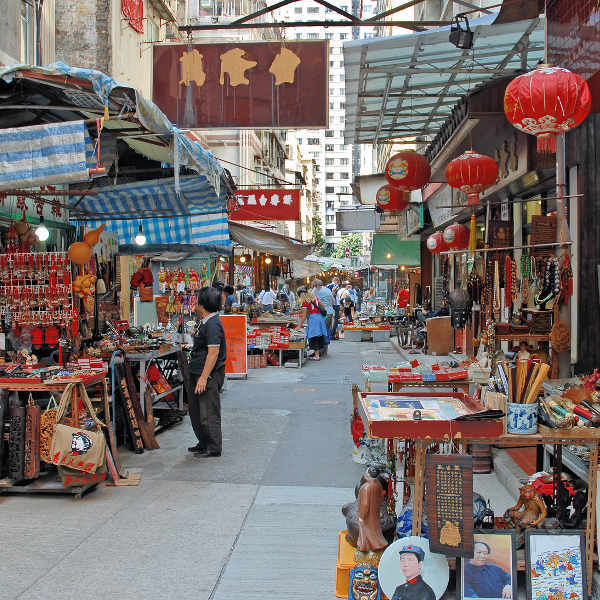 Mong Kok is another option a little out of the city centre, with a more residential feel. There are many Airbnb options and budget-friendly hotels. There, you’ll truly experience the contrast between old and new Hong Kong. Hong Kong has one of the best public transport systems in the world. Octopus cards are prepaid, contactless cards used to pay for almost all types of public transport as well as in supermarkets and certain museums. If you’re staying in Hong Kong for more than a few days, this card is highly recommended to save on transport costs. The island has MTR services in the form of underground trains, trams and buses. Buses are the common mode of transport around the south side and Lantau. Ferries ply between the islands of Hong Kong, the major attraction being the Star Ferry – a heritage icon commuting between Tsim Sha Tsui and Central, offering amazing views of the harbour. Taxis are easily available and fairly cheap. Red taxis travel anywhere on the island and are the most expensive, while the cheaper blue taxis only operate between the airport, Disneyland and on Lantau Island. The streets of Hong Kong are constantly swarming with people, so cycling is not a popular option. Traffic is orderly so it is perfectly safe to walk around and explore this diverse island on foot. Step on the world’s longest outdoor elevator, from Central to Mid-Levels, cutting through some of the island’s oldest, historical streets.